The world is jumping with inspiration and with the ColorMunki Design the possibilities are virtually limitless. Bring your vision to life as you grab colours from anywhere! The ColorMunki lets you select colours from any Pantone library or capture spot colours from just about any substrate or surface. ColorMunki all-in-One spectrophotometer puts the world of spectral colour at your fingertips, easily capture colours and calibrate all your monitors, printers and projectors. 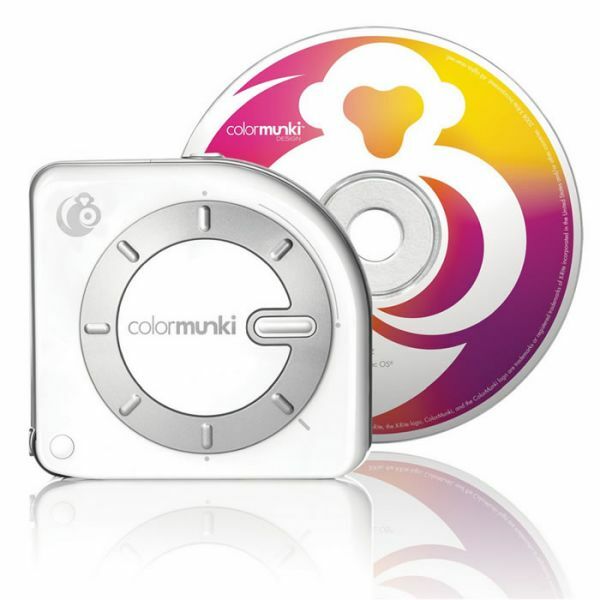 The ColorMunki comes in a protective bag, which doubles as a monitor holder and has an integrated white calibration tile and versatile design palette creation software on board. Create and name unlimited custom colour palettes. Select colours from Pantone and other built-in colour libraries. Select colours from dynamically associated Harmon Variation and Similar colours. Capture any colour from any substrate or surface. Automatically extract colour from any image. Search colour themes with keywords. Quickly preview your colours before you go to production. Preview palette for CMYK or Spot colour print. Evaluate colours under different light sources. Automatically synchronise palettes to Adobe Photoshop, InDesign and QuarkXpress. Export to your favourite design and photo applications. Add colours from your OS picker. View colour data in LAB, CMYK and sRGB.